Welcome to St. Joan of Arc Catholic Church! 7:30 A.M., 9:30 A.M., 11:30 (Solemn), 5:00 P.M.
3:00 P.M. & Stations at 12:00 P.M.
7:30 A.M., 9:30 A.M. (Sung Mass), 12:00 Noon, 5:00 P.M.
6:30 A.M. & 12:15 P.M.
6:30 A.M. & 9:30 A.M.
For Confession times, please see our Mass & Confession page. 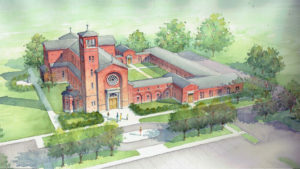 Help us build the New St. Joan of Arc! 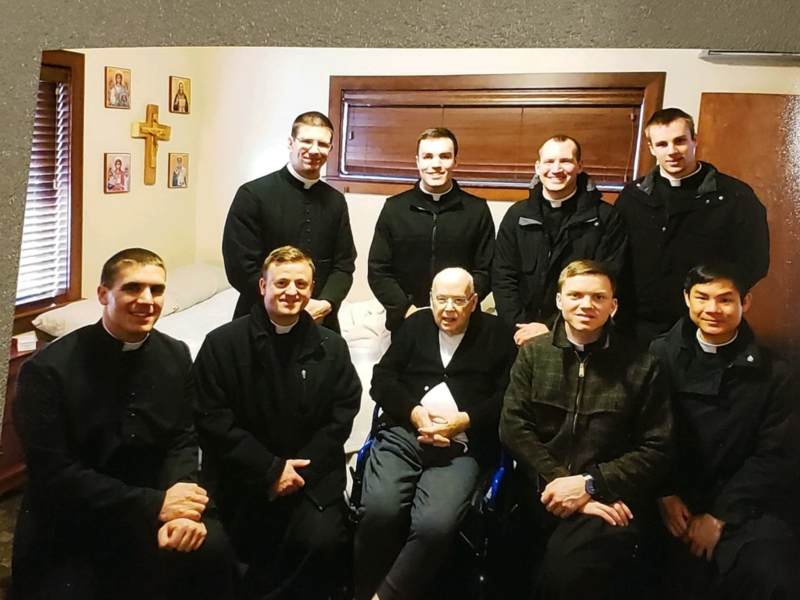 St. Joan of Arc recently hosted a Meet and Greet for ten seminarians visiting from Our Lady of Guadalupe Seminary, Nebraska, on the feast of The Holy Family. Fr. 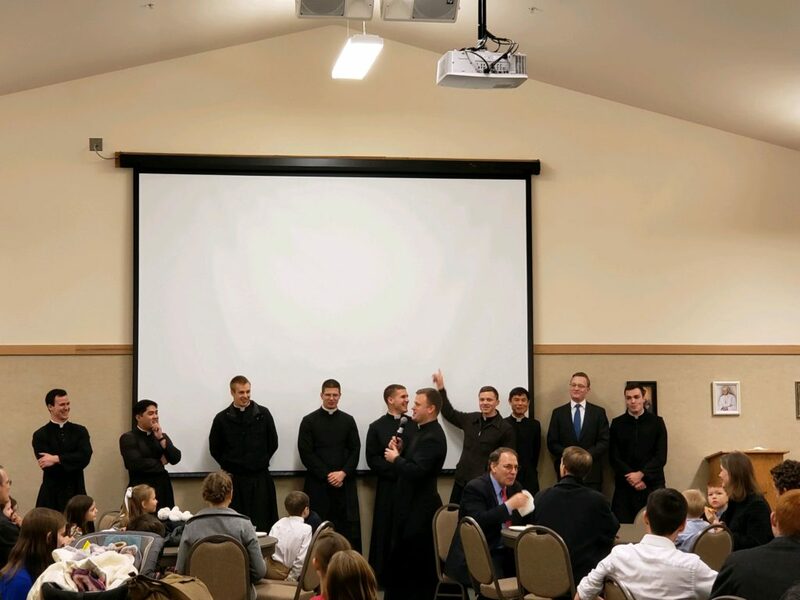 Akers, Director of Development at the Seminary, addressed about 150 attendees, and the seminarians also shared their experiences. Three of the seminarians who were present are from St. Joan: Christopher Hattrup, Joseph Loftus, and Daniel Llera.